Levin made enemies of some of his former listeners. Understand it if you can, but don’t really care if you do, because I am much happier without this shrieking jerk in my ears. Congrats For Best Thread Posting. Even today Rush since being back from vacation sounded much better. Glad my favorite local minor league baseball team is starting their game. Was going to turn Mark Levin off towards 6:30PM, before listening to the Boston Red Soxs. Understand it if you can, but dont really care if you do, because I am much happier without this shrieking jerk in my ears. Then why are you coming on the Levin thread regularly and reminding everyone that you have given Levin up without really giving him up? It seems to me if I don't like a TV show or radio show anymore, I don't go on their fan pages, FR threads, etc and constantly go out of my way to throw tantrums about how I don't like them anymore. It seems to me you're letting Levin live rent-free in your head and you're so narcissistic, you think Levin's fans give a damn. Levin complains of the Pubbies in a circular firing squad over their position on guns. No mention of the circular firing squad — aiming at Trump — he has been a part of since Cruz dropped out. 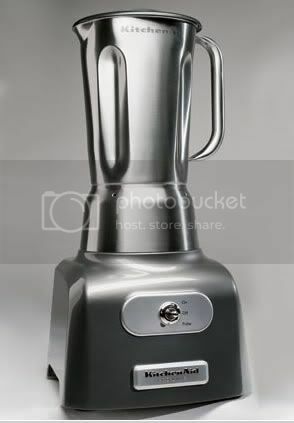 I am going to use my blender to puree some fresh fruit, then I am going to take my beautiful girl dog on a three mile, incredibly hot and muggy walk in the beautiful countryside of northwest Floridia! And I did give Levin up, I just didn’t give the thread up, and I am living rent free in Levin’s FR account. And I don’t care what seems to you. You do what you do, and I’ll do what I do, and it’s funny you pretending like you don’t give a damn, but here you are taking time out of your life, and Levin’s show, to talk to me. Thanks for giving me that power over you, I will be sure to abuse it just as often as I can. Levin accuses other talkshow hosts of using his material as prep for their shows. But in other shows he has complained that most of what needed to be said on any day has already been said by the time his show starts and he is just the clean-up guy. I am living rent free in Levins FR account. So you admit that even though you claim you no longer listen to Levin, you still come on his thread to bash him. You clearly are letting Levin, who you claim to dislike, you live rent-free in your head. ...here you are taking time out of your life, and Levins show, to talk to me. I'm a woman, I can multi-task. I can listen to Levin on iHeart Radio and type at the same time. Imagine that? You sure caught my attention! Levin was bashing Trump, claiming that he and Cruz thought of the Muslim ban idea first. WRONG! Cruz was against the Muslim ban! I’ll post it again for you since you are a woman. Mark, the email you just read fro Orlando is accurate. I wrote it. Watching a replay of Greensboro rally. I haven’t been listening, is that an accurate account? I didn't listen to the show today but here is a tweet and article about it. Mark R. Levin ‏@marklevinshow 4h4 hours ago Wow! Double wow! MY DOG SPOT DISCOUNTED BY 39% RIGHT NOW ON http://AMAZON.COM ! ROUND 3, AND MANY MORE ROUNDS, ON TONIGHT'S SPECIAL EDITION OF LEVINTV! Don't miss it! Join now! The insanity in this country stops when Obama is out, Hillary is defeated, and a conservative is in. @marklevinshow Well - Great One - you are getting closer to endorsing TRUMP ! The Mark Levin Show is on-the-air: "Conservatism is the antidote to tyranny precisely because its principles are the founding principles." -- Mark Levin in "Liberty and Tyranny". Welcome to "The Levin Lounge"... Step in and have a virtual FRink. Taking the country by storm, one radio station at a time - and kicking the BUTTS of the competition! Welcome all, to the most FUN LIVE THREAD on FreeRepublic.com! You can call Mark's show: 1-877-381-3811. Step in and have a virtual FRink. Taking the country by storm, one radio station at a time  and kicking the BUTTS of the competition! Welcome all, to the most FUN LIVE THREAD on FreeRepublic.com!